Erasure’s lead singer Andy Bell has revealed he’ll be releasing a version of the Kate Bush classic ‘Breathing’. The track is part of the British Electric Foundati0n’s release ‘Dark: Music of Quality and Distinction Volume 3’. The BEF is made up of Martin Ware and Ian Craig Marsh. The duo left British electro band The Human League in 1980 and formed BEF. They released an album of electronic instrumentals before joining up with vocalist Glen Gregory to form the successful electro band Heaven 17. In 1982 Marsh and Ware returned to their BEF moniker and released ‘Music of Quality and Distinction Volume 1’, a collection of covers of well known tunes. On the first compilation was credited with reviving the career of Tina Turner who performed ‘Ball of Confusion’. Martin Ware went on to produce her comeback single ‘Let’s Stay Together’. Also on the first album was Paula Yates, Bernie Nolan, and The Associates’ lead singer Billy McKenzie. The second edition of the series didn’t appear until the early 1990’s. Here Tina Turner and Billy McKenzie returned, alongside new singers like Terrance Trent D’Arby who gave a rousing rendition of Bob Dylan’s ‘It’s Alright Ma (I’m Only Bleeding), Lallah Hathaway sang a version of Sly and the Family Stone’s ‘Family Affair’ and Scritti Politti’s Green Gartside offered a version of The House of Love’s ‘I Don’t Know Why I Love You’. Now 22 years after the last release the band return with Volume 3. Also on the new compilation is Green Gartside taking on the Delphonic’s ‘Didn’t I Blow Your Mind This Time’, Boy George will be singing The Stooges’ ‘I Wanna Be Your Dog’ and Heaven 17 lead singer Glenn Gregory gives us his take on The Associates’ ‘Party Fears Two’, while Kim Wilde appears singing a tune from Stevie Wonder. It looks like Erasure fans can look forward to more new music from both Bell and his partner in Erasure Vince Clarke. 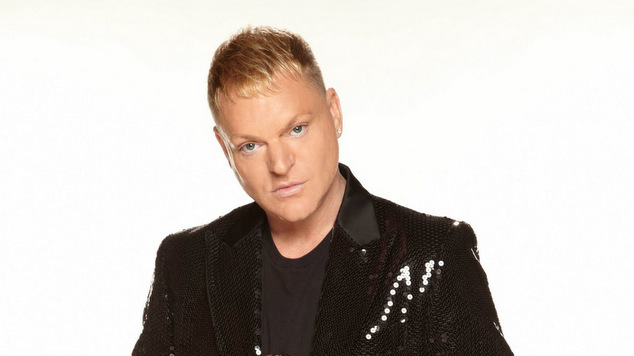 In a recent interview with a Spanish website Bell revealed that he another solo album on the way, as does band mate Clarke, and that the next Erasure album will have a Christmas theme.